Just wanted to send you a quick update regarding the TrendJumper – its just awesome! 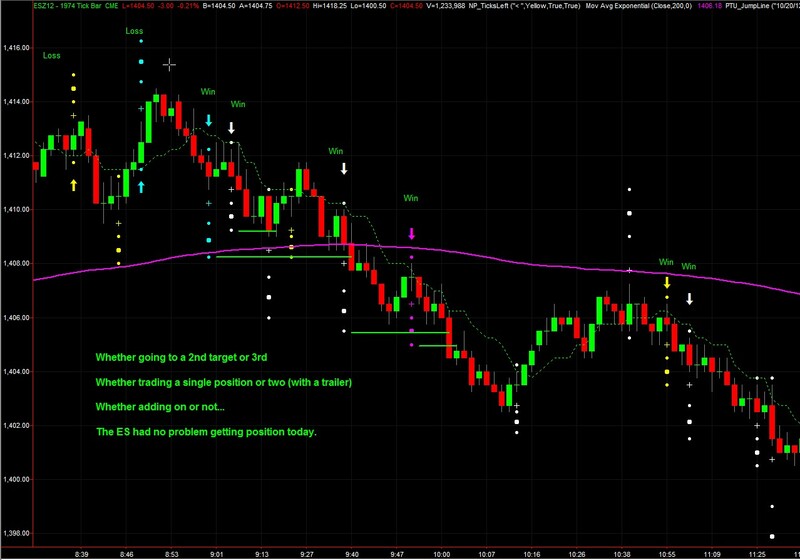 I thought I would share this with everyone and to also show you today’s session with the 2000 tick chart and with a slightly faster chart, the 1974 tick. Even though the markets just reopened and have been trading very slowly, it was a banner day for the ES. Other markets did great too, by the way. 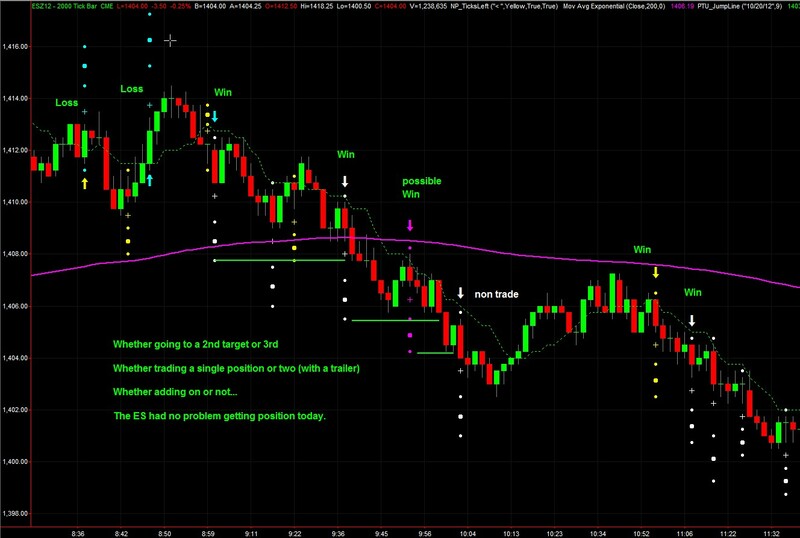 Crude Oil Futures had us finished with our goals in about 20 minutes today, for example.